First you have to download it. 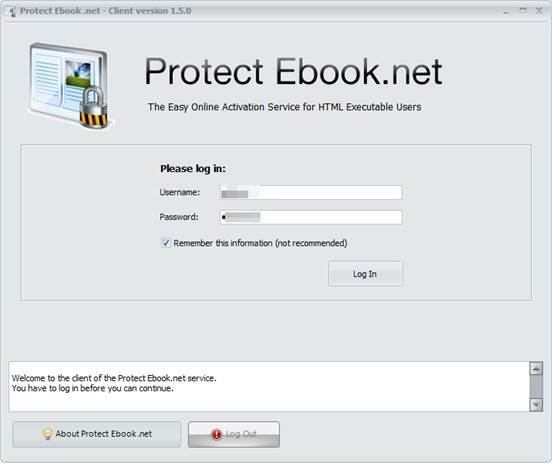 After having subscribed to Protect Ebook.net, you should have received login information to access your account. From your account manager, you can download the latest version of the Protect Ebook client. The Protect Ebook client is a portable Windows application. Just save the EXE file to a writeable folder or a USB stick, and execute it. Enter your login information and click "Log In". Once you are connected, three tabs are displayed : "My Account", "My Publications" and "My Users".